You are here: Home / Latest News / Tribunal rules Citiscape leaseholders must pay to remove Grenfell cladding. Will this mean some lose their homes? Tribunal rules Citiscape leaseholders must pay to remove Grenfell cladding. Will this mean some lose their homes? The leaseholders at the Citiscape site in Croydon are to bear the costs of removing the Grenfell cladding and for the fire watch, the property tribunal has ruled. Without other intervention, this means that some of the leaseholders will inevitably lose their homes. Although the tribunal has ruled that estimated costs to replace the cladding is rule as “reasonable”, no one is under any illusions that this will not be the total. FirstPort, which initiated the action, estimates £1.8 million to £2 million as the likely figure. This is the second tribunal ruling on the issue of Grenfell cladding following that of the Fresh site in Salford and it is the second defeat for ordinary homeowners. The 95-flat Citiscape site, of two blocks with a car park, was built by Barratt 2001 and the freeholder is Proxima GR Properties, one of the freehold-owning companies of Vincent Tchenguiz that ultimately belongs to the so-called Tchenguiz Family Trust based in the British Virgin Islands. The property manager FirstPort – which is written into the lease in a tripartite lease arrangement – took the tribunal action to obtain a clear ruling on liability, ensuring that neither it nor the Tchenguiz Family Trust, which accounts for 65 per cent of the freeholds FirstPort manages, have to pay up. The tribunal did not consider the costs for the fire watch because FirstPort cannot recover these until the end of the current service charge year on August 31 2018: until that time, FirstPort is paying for the fire marshals itself. However, it noted that these costs were running at £4,216 a week, or £263,000 a year. The tribunal also referenced the cost of removing and replacing the Grenfell cladding, with two options costing £1.8 million and £2.5 million: “nearly a fourfold increase in the estimate given by the manager’s internal surveyor earlier in the year”. That was perhaps unhelpful for the tribunal to note, because this point was certainly not made to it during the case, where the leaseholders were represented by barrister Amanda Gourlay. The tribunal made repeated references to the possibility of an appeal and the fact that this issue will very likely return to the courts. In other words: if any court is going to get the leaseholders off the hook, it would have to be a higher one. So far as this tribunal was concerned, whatever the final costs – which are still unspecified – the bill stops at the leaseholders. Communities Secretary Sajid Javid told the Commons yesterday: “We have made it clear that, when it comes to the private sector and this type of remedial work, it should take a lead from the social sector. “It is the moral duty of any freeholder to meet any necessary costs. LKP cannot quite understand why the Secretary of State is saying this, except it reveals the truth that freeholders are simply parasitical rentiers who graze on ground rents, insurance commissions and other fees and have no serious interest in a building whatsoever. They are not analogous to a landlord who owns and rents out a freehold house. The freehold to a block of flats has minimal value compared with the total value of all the leases of the flats – yet in law the owner of it has almost ALL the power. That power is invariably used wrongly, which is why leasehold is now a national scandal being addressed by government. Leaseholders in an apartment block covered in Grenfell-style cladding have been ordered to pay £500,000 to make their building safe after a tribunal ruled that they, rather than the management company, were obliged to cover the costs. Leaseholders can perhaps take cold comfort that Sajid Javid for the government told Parliament only yesterday that morally freeholders should pay? Not sure the SoS got the memo on how courts apply only law? He did say he was keeping things “under review”. That’s something to look forward to then. If you haven’t already lost your shirt. How hard can it be for governments to understand the feudal leasehold tenure system Parliament created and sustains? You cannot blame the tribunal or even the freeholder. Law is law. Bad law is still law. People used to hang quite a lot, perfectly legally. Thanks for this. The article above is amended. While we were always expecting this would be the outcome Judge Andrew should hang his head in shame for what seems to be a very poorly drafted decision. He insults the leaseholders, he make what seem little more than speculative guesses on a number is issues where he assumes the landlords has acted reasonably. He exonerates some potentially serious failings by the landlord. He assumes he can comment on the closing written statements from counsel safe in the knowledge nobody will know what was said. In this instance he would be very wrong. It is little wonder so many leaseholders have concerns about the Tribunals competence in dealing with complex issues. That leaseholders are having to rely on a property management company that has in the past admitted price fixing at 65 retirement developments and has an overall net value of £-35,000,000 to minimise re-cladding costs doers not inspire any confidence? 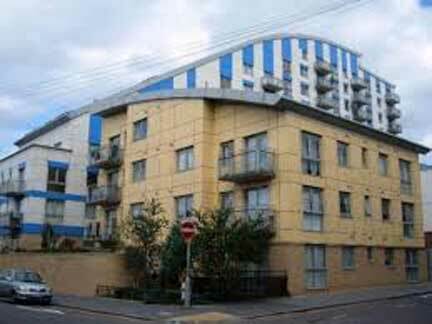 Under the leasehold property system, the leaseholders own a lease, the building is legally owned by the freeholder. It makes no sense to make the leaseholders pay for the repairs on a defective defective building that does NOT belong to the leaseholders. . The leaseholders pay tax on income at 20%, 40% and 45% to the Government . Proxima does not seem to pay company tax as it seems to get losses through the BVI . Why does the FTT ( funded by the Government and UK tax payers) give judgement in favour of a company ( Proxima GR ) that isn’t paying 20% tax every year to the HMRC ??? The FTT should be ordering the building owner to claim against the developers and their business insurance. The FTT are confusing the situation and not fit for purpose. Sagid has to act decisively in favour of the leaseholders and UK tax payers and put the freeholder companies and their directors and appointed managing agents into liquidation. My managing agent and freeholder can’t even paint the correct number of lines for parking bays, let alone quantify my bill correctly. I’m so angry I can’t even begin to comprehend what those affected are going through. Could freeholders engineer these forfeit inducing scenarios to keep making windfall gains?! It certainly looks like they’re untouchable. This is going to be a legal minefield that truly exposes the utter failure of the leasehold system. Probably as leasehold contracts have been written then on a technical basis the judgement may well be correct. That said, though it has been judged that leaseholders must pay via their service charges it does not take away the responsibility of the landlord /freeholder to make the building safe. It would then be for the landlord/freeholder to recover their costs.. Imagine a development with no money in the service charge accounts. Yes, the landlord/freeholder may not carry out decorations, but they still are required to insure the development. The most important thing must be to make those buildings safe and argue later(and there are plenty of issues to be argued over). Was or should it have been known that there were issues with this type of cladding? Well, following a fatal fire in Irvine involving this type of cladding it’s use was banned under the Building (Scotland) 2003 Act. In 1999 the UK Parliament launched an inquiry into the use of this type of cladding? So it could be expected that either a developer. or building regulator would have been aware of the dangers of using this type of cladding? It needs to be established as to whether the original “approved” specifications for the cladding matched the cladding actually fitted? For example do the freeholders/landlords have sufficient funds to pay for rectification of the faulty cladding? It is known that in the case of Citiscape the freeholder has recently been re-financed after several inter company loan defaults. In the capacity as landlord the managing agent has in the recent past escaped from administration and has a current net value of -£35,000,000 and carries on trading as their backers” have agreed to continue funding them. The NHBC (the insurers) have cast doubts on their ability to continue trading should they be held liable? So all in all an utter mess, but not a lost cause far from it? This issue is way above the pay grade of the FTT. I believe that ultimately this will prove to be a hammer blow for those that continue to support the vested interests of the leasehold system. I can envisage a scenario in which the local authority takes over the freehold of Citiscape,in order to get the essential safety work done, with the leaseholders eventually buying the freehold (thus repaying the council). The leaseholder will the become homeless and the local council will have to re-house them. If the leaseholders do pay then the managing agent stands to earn up to £200,000 from carrying out the work. And being the company they are, can you imagine how many £60 late payment administrative charges Firstport will impose on the leaseholders? Soon after I began commenting on lkp I realised my own personal issues with leasehold were small time – bungalow with 950 years left on lease, fixed ground rent of £35 per year, and this story illustrates perfectly how small time my own issues are. “LKP cannot quite understand why the Secretary of State is saying this, except it reveals the truth that freeholders are simply parasitical rentiers who graze on ground rents, insurance commissions and other fees and have no serious interest in a building whatsoever” – this statement sums it all up. Leasehold is grotesque and obscene, yet there is something more grotesque and obscene – the system which has allowed it to flourish, and continues to allow it to flourish. Leasehold is symptomatic of the country we live in, and symptomatic of all the grand offices of state, of our courts and legal system, of a mutual and self serving elite and professional class. On what basis did our second highest legal officer, Master of the Rolls Sir Terence Etherton, conclude that leasehold should remain in place? Did he come to this conclusion after careful consideration and with the common good at the heart of his conclusion? Or were there other considerations in play? More cigars and champagne. Tchenguiz continues to make a fool out of Javid and the judiciary. Suggestion for Javid, Rabat and May. Give cladding leaseholders the £820,000 donated by Russians to the Tory party. Judge Andrew is irresponsible to suggest that leaseholders should go to Court to determine liability without mentioning costs that can lead to personal bankruptcy. Maybe he will act pro bono ! For political balance. Why have Labour and Lib Dems not formally adopted a policy to regulate agents and rid us off leasehold or have I missed something. Political parties must decide to support the many voters or the few but very rich vested interests. Why is this not covered by the building insurance? If the leaseholders have made a choice to install this cladding in the full knowledge it was dangerous and better / safer products were available then a case could be made they were at fault. But I am sure this was not the case. Zocco. It is very depressing but Judge Andrew’s decision is that the leaseholder must pay. So why would building insurance, the NHBC, health and safety, freeholders who own the flats, local authorities and the government voluntarily pay. Morality and ‘the right thing’ is window dressing. It’s money not morality that rules. Javid and May have the power to lead and change the law. to protect leaseholders from being robbed , but they are not interested in the little people and will do nothing. It should be covered by the developer’s insurance policy . The developer ( or Lessor in Lease ) specified the wrong grade of insulation material during construction . Of what use is the Labour party and ehmm Liberal and the other one Green party as opposition parties? Their silence speaks volume. At the tribunal was it accepted without challenge that it was Peverel OM (now known as Firstport Property Services) that was actually part of the tri-party lease? Could it have been the similarly named OM Ltd? If that was to be the case wouldn’t then OM Ltd would have had to appoint Peverel OM as managing agent? Surely if that were to be the case and under challenge no documentation could be proved to this effect then the legitimacy of Firstport Property Services bringing a case to the tribunal must come under question? At a tribunal is any company asked to show their company number? I ask this as a recently received service charge demand from Firstport Property Services not only manages to give the wrong name of the freeholder/landlord but also the company number ascribed to Firstport Property Services is also wrong and belongs to another Firstport company!